At ISC West 2016 Genetec™, a leading provider of open-platform, unified IP security solutions, invites ISC West 2016 attendees to visit its newly-designed experience center at booth #26 057 for a look at technology, trends, and insights that are shaping the physical security industry in 2016 and beyond. ISC West runs April 6th - 8th, at the Sands Expo Center in Las Vegas, NV. ISC West attendees will experience a strong Genetec focus on cyber-security under the banner of “Security-of-Security”, as well as previews of new and in-development technology designed to offer large-scale enterprise and institutional clients a powerful way to manage multi-dimensional threat scenarios. 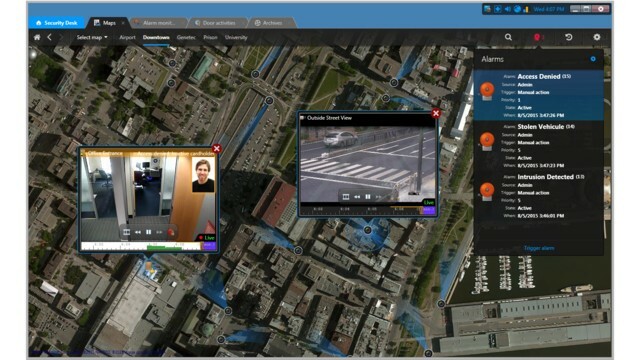 To address these increasingly sophisticated customer needs, Genetec will expand its Security Center platform with a new product edition—currently codenamed ‘Mission Control’— to include the ability to proactively plan for and respond to threats and incidents with a variety of advanced decision support capabilities (incident management, standard operating procedures, embedded operator response workflows, and auditing of responses). Genetec will also feature the latest version of its flagship unified security platform Security Center 5.4, along with the newest models of its family of turnkey network security appliances known as the Smart Vault™ (SV). Genetec Security Center 5.4 includes enhanced measures to protect data security and privacy, improved operator experience through map-centric monitoring, and integration support for H.265 cameras. To mitigate the risk of cyber-threats, Security Center users can now implement digital certificates to establish trust within their security environment, while the use of the latest encryption standards such as TLS, AES-128, and RSA results in more secure communications between all Security Center client and server applications. Taking it one-step further, Security Center is now able to encrypt video data at-rest (while the data ‘rests’ in an archive), or in-transit (while the data is in movement on the network), ensuring the privacy of live and recorded video. To streamline multi-organization collaboration, organizations can leverage third-party claims services, including Microsoft Active Directory Federation Services, to authenticate and manage Security Center users across organizations and domains. “Physical security systems are overlapping to a much greater degree with IT departments; multi-organization cooperation and sharing is increasing in frequency and volume; and the public continues to expect and demand greater privacy and transparency around collected data,” said Andrew Elvish, Vice President of Product Management at Genetec Inc. “With recent research† showing that 97% of organizations have suffered some form of security breach, and three-quarters had attackers gain active control of their system, it is no longer ‘optional’ that our industry adopt global IP-security best practices for securing our data. The latest version of Security Center addresses these concerns head on by bringing unmatched levels of authentication, encryption and authorization, helping IT and security departments assure security-of-security compliance,” added Elvish. As organizations evaluate methods to reduce surveillance system costs and storage needs, the advent of the H.265 video compression standard promises to reduce bandwidth consumption by up to 50 percent, while also allowing them to leverage higher resolution cameras more efficiently. Security Center 5.4 is one of the first video management platforms to offer support for H.265, via recent integration to the Vivotek IP9171 H.265 camera. Additionally, through support for H.265-compatible video graphics cards, Genetec customers are able to leverage graphic processing unit (GPU) decoding to render H.265 streams more efficiently, reducing the processing load on workstation performance. The Genetec experience center at ISC West will feature the latest version of its AutoVu™ automatic license plate recognition (ALPR) solution, highlighting the newest tools for law enforcement and parking with the latest generation Sharp and Sharp X camera hardware. AutoVu Free-Flow is a new parking enforcement module that helps increase parking efficiency by providing a real-time inventory of vehicles parked illegally in monitored parking lots. †† Performance specifications are based on a BCDVideo Nova Series BCD215 2U server with a 10Gbe network card onboard. Without the additional card, the server is able to achieve a total throughput of 750 Mbps, and is capable of supporting up to 500 cameras and/or 500Mpbs in continuous recording, while providing an additional 250 Mbps dedicated for video redirection.